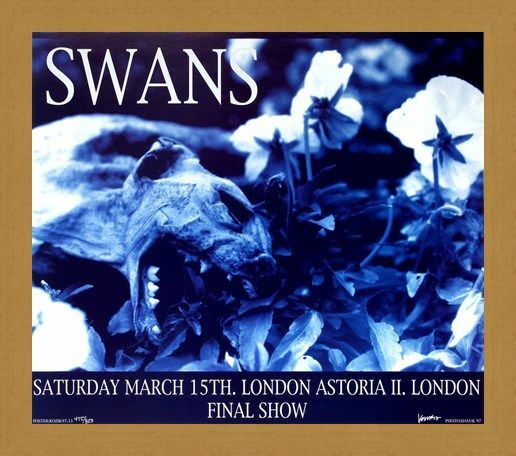 Rare Art Print: This graphic dead dog surrounded by flowers was originally created by American advertising artist Frank Kozik for the band Swans. 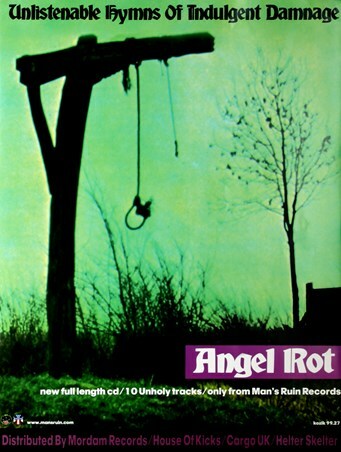 As one of the most recognised rock band artists, Kozik has produced advertising posters for some huge names and his work is highly sought after. 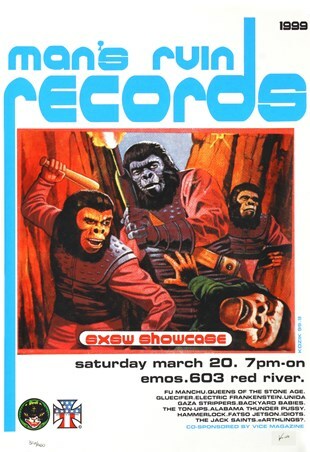 This rare, limited edition art print advertises the Swans, a post punk rock band that was led by Michael Gira, and it is even signed by Kozik himself. 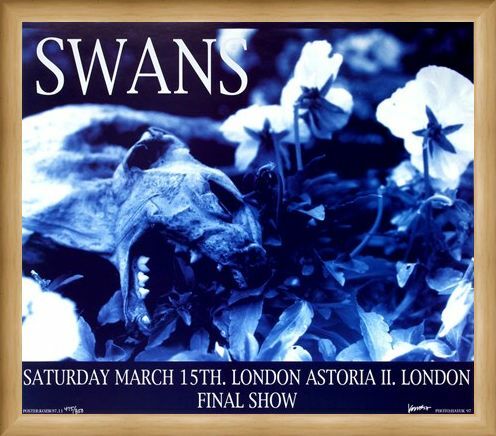 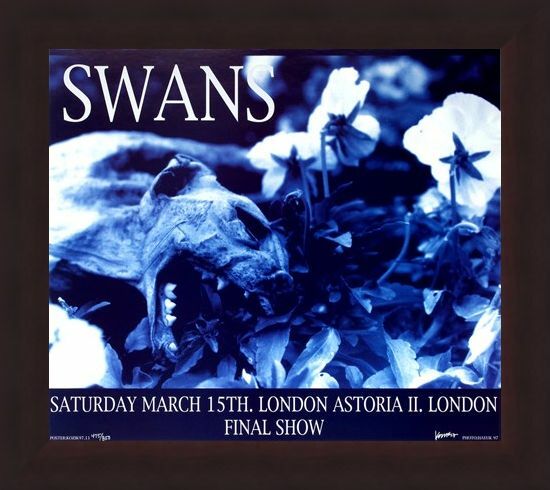 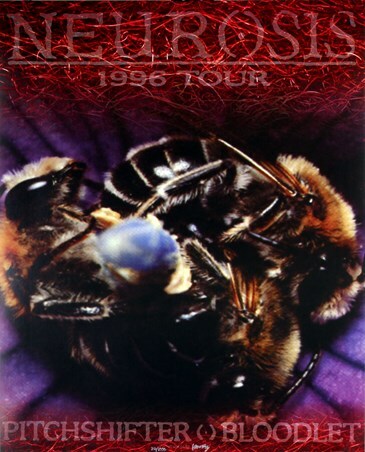 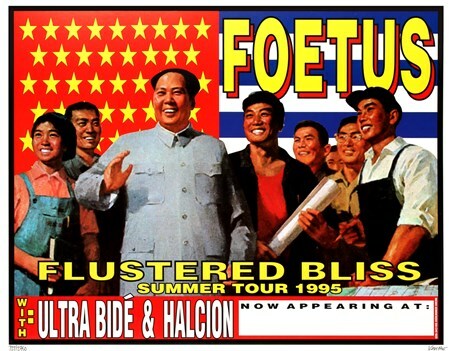 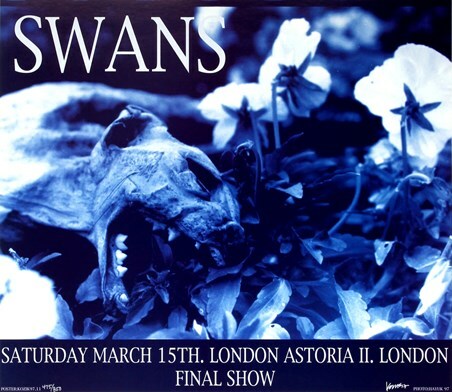 This art print shows the poster for their gig at the London Astoria II on the 15th March 1997. So if you are a fan of Kozik or the Swans, then get your hands on this limited edition quick! High quality, framed Swans at London Astoria II, Frank Kozik limited edition print with a bespoke frame by our custom framing service.